Although Switzerland has one of the best healthcare systems in Europe, access to healthcare is limited for certain groups within the population, among them migrant women. 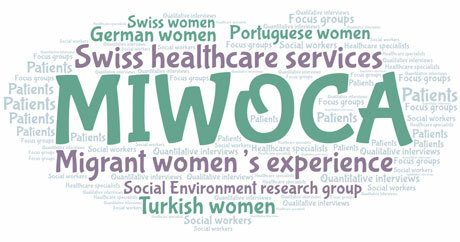 ISPM’s new study “Migrant women’s experience with Swiss healthcare services” (MIWOCA) is starting on April 1. How do migrant women with chronic diseases experience and use healthcare in Switzerland, and how can their knowledge help improve services? ISPM’s Social Environment research group hopes to answer these questions with a new three-year study. The study, focusing on the health needs of Portuguese, Turkish, German, and Swiss women, applies a mixed-methods approach. It investigates how patients’ perception of their own health, their needs and available resources, as well as their past experiences with the healthcare system, affect their usage of healthcare services. Utilizing the findings from qualitative and quantitative interviews and focus groups, healthcare specialists, social workers and patients will take part in participatory planning groups to develop recommendations for improving healthcare for chronically ill migrant women. By improving healthcare structures for migrant women and promoting their access to healthcare, this study aims at reducing social inequalities in health.